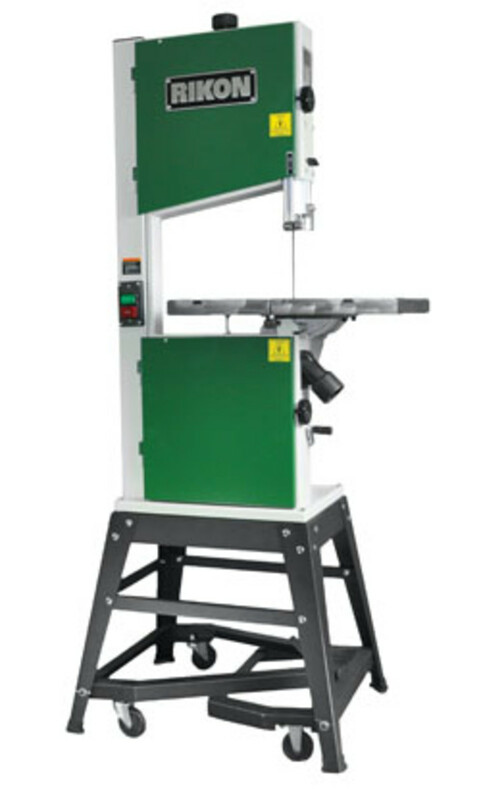 Rikon Power Tools recently introduced its new 14” open-stand band saw, model 10-321. 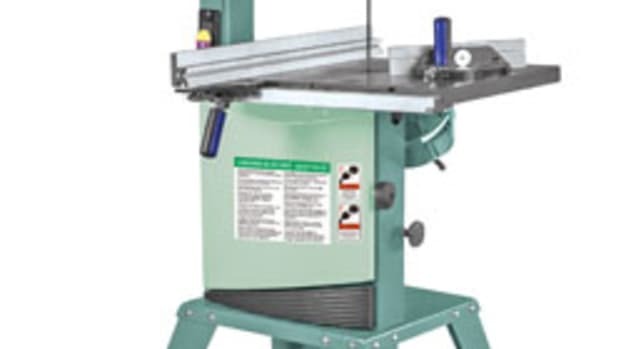 Equipped with a 15-3/4” x 20-3/8” cast-iron table, the saw is designed to provide woodworkers with optimal space and work support. 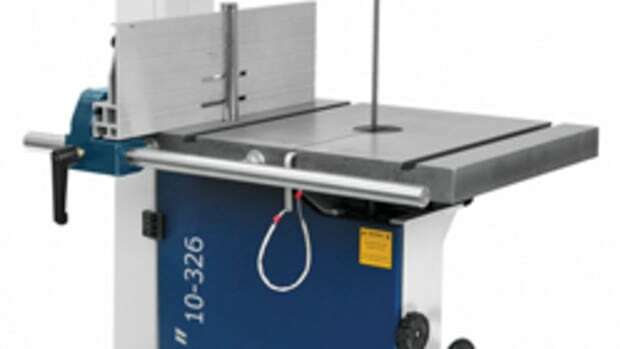 It also features an 8” resawing capacity and a 13-5/8” throat, which will allow the user to cut thicker material on a compact saw, the company says. 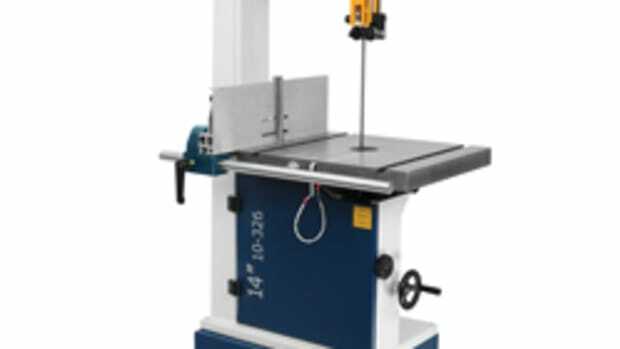 “This is one of the largest tables featured on a 14” band saw in a similar price range. 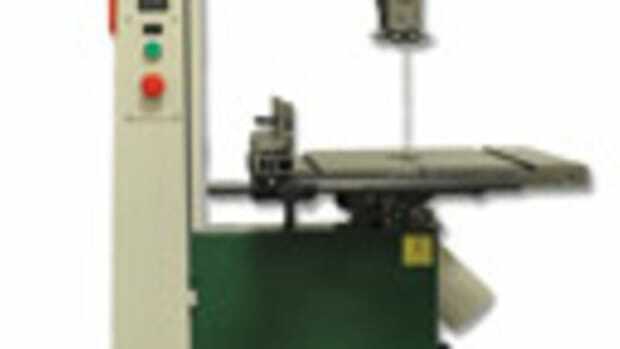 It provides a large work surface and steadier support for the product going through the cut. 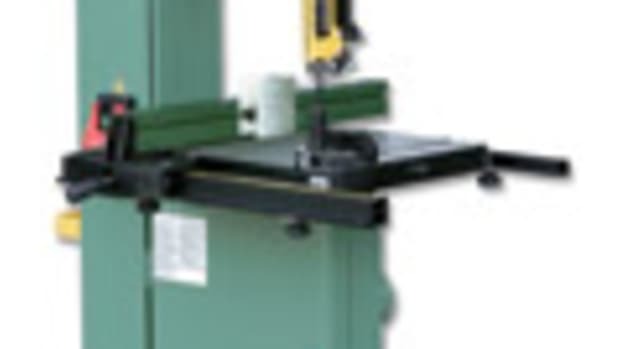 The table also has dual standard T-style miter slots and we provide a T-slot on the left side of the blade for customers that want to make their own fences or jigs or put sleds on and utilize both miter slots,” Rikon vice president of technical support Rod Burrow says. Upper and lower ball-bearing blade guides and thrust bearings reduce friction, increase blade life and contribute to smooth operation. A rack-and-pinion guide post allows users to adjust the cutting depth easily with the turn of a knob. The table tilts 46 degrees to the right and 10 degrees to the left, according to the company. 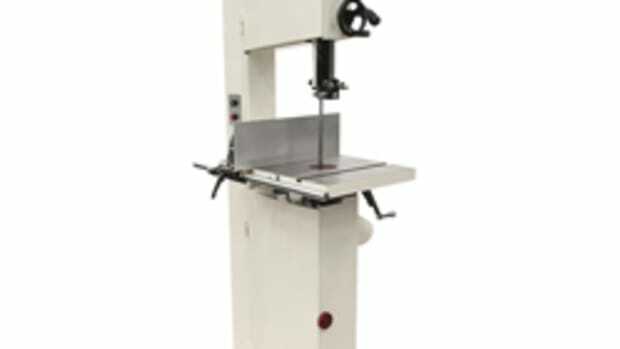 “It’s a two-speed machine like most of the band saws in the Rikon line, so you can use the higher speed for all wood-cutting applications and slow it down to cut non-ferrous metal, plastics, composites, or anything of that nature because we realize woodworkers incorporate more into our work than just wood and this gives them the opportunity to expand their product offerings a little bit,” says Burrow. 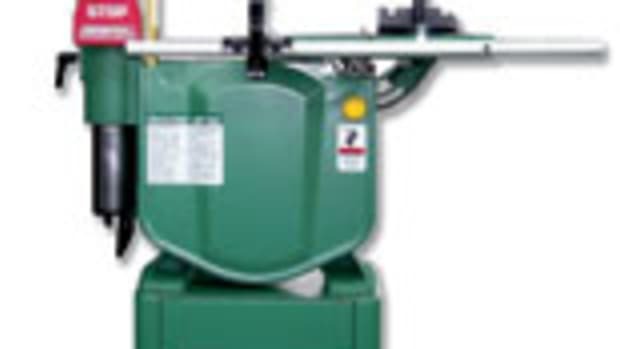 The 1-hp saw also features two dust ports — a 2-1/2” port under the table and a 4” port — cast-aluminum wheels and a powder coat finish. The band saw sells for about $600. Optional accessories include a mobility kit, fence and miter gauge.